Иосиф Виссарионович Сталин; - Joseph Vissarionovich Stalin born Ioseb Besarionis je J̌uḡašvili, 18 December 1878 – 5 March 1953) was the de facto leader of the Soviet Union from the mid-1920s until his death in 1953. He subsequently managed to consolidate power following the 1924 death of Vladimir Lenin through expanding the functions of his role, all the while eliminating any opposition. He held this nominal post until abolishing it in 1952, concurrently serving as the Premier of the Soviet Union after establishing the position in 1941. Under Joseph Stalin's rule, the concept of "socialism in one country" became a central tenet of Soviet society. He replaced the 'New Economic Policy' 'NEP' introduced by Lenin in the early 1920s with a highly centralised command economy, launching a period of industrialization and collectivization that resulted in the rapid transformation of the USSR from an agrarian society into an industrial power. However, the economic changes coincided with the imprisonment of several million people in Soviet correctional labour camps and the deportation of many others to remote areas. The initial upheaval in agriculture disrupted food production and contributed to the catastrophic Soviet famine of 1932–1933, known as the Holodomor in Ukraine. Later, in a period that lasted from 1936–39, Stalin instituted a campaign against alleged enemies of his regime called the 'Great Purge', in which hundreds of thousands were executed. Major figures in the Communist Party, such as the old Bolsheviks, Leon Trotsky, and several Red Army leaders were killed after being convicted of plotting to overthrow the government and Stalin. In August 1939, Stalin entered into a non-aggression pact with the Third Reich that divided their influence within Eastern Europe, but Germany later violated the agreement and launched a massive invasion of the Soviet Union in June 1941. Despite heavy human and territorial losses, Soviet forces managed to halt the German incursion after the decisive battles of Moscow and Stalingrad. After defeating the Axis powers on the Eastern Front, the Red Army captured Berlin in May 1945, effectively ending the war in Europe for the Allies. The Soviet Union subsequently emerged as one of two recognized world superpowers, the other being the United States. The Yalta and Potsdam conferences established communist governments loyal to the Soviet Union in the Eastern Bloc countries as buffer states, which Stalin deemed necessary in case of another invasion. He also fostered close relations with Mao Zedong in China and Kim Il-sung in North Korea. Stalin led the Soviet Union through its post-war reconstruction phase, which saw a significant rise in tension with the Western world that would later be known as the Cold War. During this period, the USSR became the second country in the world to successfully develop a nuclear weapon, as well as launching the 'Great Plan for the Transformation of Nature' in response to another widespread famine and the 'Great Construction Projects of Communism'. In the years following his death, Stalin and his regime have been condemned on numerous occasions, most notably in 1956 when his successor Nikita Khrushchev denounced his legacy and initiated a process of de-Stalinization. He remains a controversial figure today, with many regarding him as a tyrant, however, popular opinion within the Russian Federation is mixed. Stalin was born as Ioseb Besarionis dze Jughashvili), in Gori in the Tiflis Governorate of the Russian Empire, to Besarion Jughashvili, a Georgian cobbler who owned his own workshop, and Ketevan Geladze, a Georgian who was born a serf. He was their fourth child; their three previous sons died in infancy. 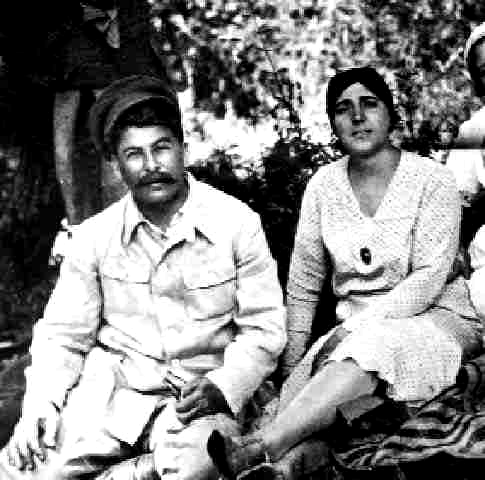 Initially, the Jughashvili family prospered, but Stalin's father became an alcoholic, which gradually led to his business failing and him becoming violently abusive to his wife and child. As their financial situation grew worse, Stalin's family moved homes at least nine times in Stalin's first ten years of life. His father beat his mother and himself so violently that Stalin once had blood in is urine for over a week. He later asked his mother "Why did you beat me so hard? ", to which she replied "That's why you turned out so well." The town where Stalin grew up was a violent and lawless place. It had only a small police force and a culture of violence that included gang warfare, organized street brawls and wrestling tournaments. Stalin was frequently involved in brawls with other children. At the age of seven, Stalin fell ill with smallpox and his face was badly scarred by the disease. He later had photographs retouched to make his pockmarks less apparent. Stalin's native tongue was Georgian; he did not start learning Russian until he was eight or nine years old, and he never lost his strong Georgian accent. At the age of ten, Stalin Received a scholarship to the Gori Theological School (Горийское Духовное Училище). His peers were mostly the sons of affluent priests, officials, and merchants. He and most of his classmates at Gori were Georgians and spoke mostly Georgian, however, at school they were forced to speak Russian, a policy set by Tsar Alexander III. Stalin was one of the best students in the class, earning top marks across the board. He became a very good choir singer (like Adolf Hitler) and was often hired to sing at weddings. He also began to write poetry, something he would develop in later years. Stalin's father had always wanted his son to be trained as a cobbler rather than be educated. He was infuriated when the boy was accepted into the school. In a drunken rage he smashed the windows of the local tavern, and later attacked the town police chief. Out of compassion for Stalin's mother, the police chief did not arrest Besarion, but told him to leave town. He moved to Tiflis where he found work in a shoe factory and left his family behind in Gori. About the time Stalin began school, his left arm became disfigured. Stalin himself has given conflicting accounts as to the cause, either because of a blood poisoning or because of physical abuse. Whatever the cause, his left arm became a couple of inches shorter than his right; this injury would later exempt him from military service in World War I. At the age of 12, Stalin was struck again by a horse-drawn carriage and injured much more severely. He was taken to a hospital in Tiflis where he spent months in care. After he recovered, his father seized the boy and enrolled him as an apprentice cobbler at the shoe factory where he worked. When his mother – through the aid of contacts in the clergy and school staff – recovered the boy, his father cut off all financial support to his wife and son, leaving them to fend for themselves. Stalin returned to his school in Gori where he continued to excel. He graduated first in his class. In 1894, at the age of 16, he enrolled at the 'Russian Orthodox Seminary of Tiflis', to which he had been awarded a scholarship. The teachers at Tiflis Seminary were also determined to impose Russian language and culture on the Georgian students. Like many of his comrades, young Stalin reacted by being drawn to Georgian patriotism. For a time, he wrote Georgian poetry, for which he gained some fame. Before he became a Bolshevik revolutionary and the ruler of the Soviet Union, Joseph Stalin was a promising amateur poet. Like all Georgian children, Ioseb Besarionis dze Jughashvili – who would later call himself Stalin – grew up with the national epic, 'The Knight in the Panther's Skin'. As a child, Ioseb knew the poem by heart and passionately read the other popular poems of the time, notably those by Rafael Eristavi, Akaki Tsereteli and – once he learned Russian – Nikolay Nekrasov. At the Orthodox Seminary of Tiflis, where he was enrolled since 1894, Stalin read Goethe and Shakespeare in translation, and could recite Walt Whitman. He also started writing romantic poetry in Georgian. In 1895, at the age of 17, Stalin's work impressed the noted poet Ilia Chavchavadze, who published five of them in his journal, Iveria, attributed to the pseudonym Soselo. The lily of the valley has bent over the grass." Once Stalin entered revolutionary politics, he stopped writing poetry – it took too much time, he told a friend – but in 1907 he still used his prestige as Soselo to obtain information he needed for a bank robbery from an admirer. During the 'Great Purge', he edited a Russian translation of the 'Knight in the Panther's Skin' (by a Georgian intellectual he released from prison for the purpose) and competently translated some of the couplets himself. Stalin published all of his work anonymously and never publicly acknowledged it. When Lavrenti Beria secretly had Boris Pasternak and other noted translators prepare a Russian edition of Stalin's poems for the ruler's 70th birthday in 1949, Stalin had the project stopped. Tthe poems in Iveria were widely read and much admired. They became minor Georgian classics, to be published in anthologies and memorised by schoolchildren until the 1970s (and not as part of Stalin's cult; they were usually published as "Anonymous")." Stalin, however, was no Georgian Pushkin. The poems' romantic imagery is derivative, but their beauty lies in the rhythm and language. Stalin's poems have been translated into English by Donald Rayfield. During his time at the seminary, Stalin and numerous other students read forbidden literature that included Victor Hugo novels and revolutionary, including Marxist, material. He was caught and punished numerous times for this. He became an atheist in his first year. He insisted his peers call him "Koba", after the Robin Hood-like protagonist of the novel 'The Patricide' by Alexander Kazbegi; he continued to use this pseudonym as a revolutionary. In August 1898, he joined the Russian Social-Democratic Labour Party, an organization from which the Bolsheviks would later form. Shortly before the final exams, the Seminary abruptly raised school fees. Unable to pay, Stalin quit the seminary in 1899 and missed his exams, for which he was officially expelled. Shortly after leaving school, Stalin discovered the writings of Vladimir Lenin and decided to become a revolutionary. After abandoning his priestly education, Stalin took a job as a clerk at the Tiflis Meteorological Observatory. Although the pay was relatively low (20 roubles a month), his workload was light, giving him plenty of time for revolutionary activities. He would organize strikes, lead demonstrations and give speeches. He soon caught the attention of the Tsar's secret police, the Okhranka. 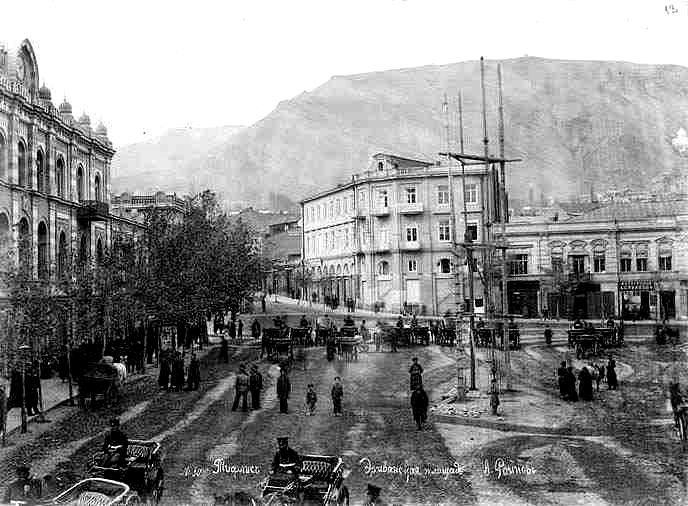 On the night of 3 April 1901, the Okhranka arrested a number of SD Party leaders in Tiflis. Stalin was riding the tram to work when he spotted their agents waiting to ambush him outside the Observatory. He stayed on the tram and avoided capture. He went underground, becoming a full-time revolutionary, living off donations from friends, sympathizers and his Party. He began writing revolutionary articles for the Baku-based radical newspaper Brdzola ("Struggle"). In October, he fled to Batumi and got work at an oil refinery owned by the Rothschilds. In 1902, a fire broke out at the refinery, and it is strongly suspected Stalin was involved. The workers were entitled to a bonus for putting out the fire, but the manager suspected arson and refused to pay. In response, Stalin organized a series of strikes, which in turn led to arrests and street clashes with Cossacks. In one attempt to break their comrades out of prison, 13 strikers were killed when Cossacks intervened. Stalin distributed pamphlets portraying the dead as martyrs. 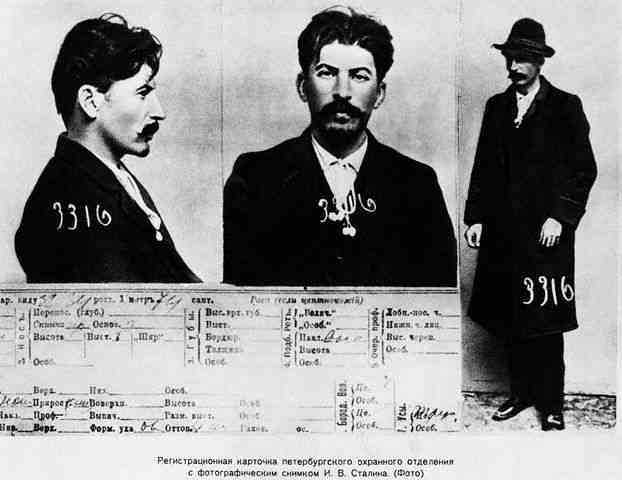 On 18 April 1902, the authorities finally arrested Stalin at a secret meeting. At his trial, Stalin was acquitted of leading the riots due to lack of evidence, but was kept in custody whilst the authorities investigated his activities in Tiflis. Stalin ended up in the Siberian village of Novaya Uda on 9 December 1903. During this time, he heard that two rival factions within the Social-Democrats had formed: the Bolsheviks under Lenin and the Mensheviks under Julius Martov. Stalin, already an admirer, decided to join Lenin's group. He managed to obtain false papers and, on 17 January 1904, escaped Siberia by train, arriving back in Tiflis ten days later. With no income, Stalin lived off his circle of friends. One of them introduced him to Lev Kamenev (then known as Lev Rosenfeld), his future co-ruler of the USSR after Lenin's death. At this time, Stalin favored a Georgian Social-Democratic party, which caused a rift with the majority who favored international Marxism. Threatened with expulsion, he was forced to write 'Credo', a paper renouncing his views (because this paper distanced himself from Lenin, when Stalin became ruler of the USSR, he tried to destroy all copies of this 'Credo', and many of those who had read it were shot). The following month, the Russo-Japanese War broke out between Japan and Russia. The war, which would eventually end in Russia's defeat, severely strained the Russian economy and caused a great deal of restlessness in Georgia. Stalin travelled across Georgia conducting political activity for his party. He also worked to undermine the Mensheviks through a campaign of slander and intrigue. These efforts brought him to Lenin's attention. On 22 January 1905, Stalin was in Baku when Cossacks attacked a mass demonstration of workers, killing 200. This was part of a series of events which sparked off the Russian Revolution of 1905. Riots, peasant uprisings and ethnic massacres swept the Russian Empire. In February, ethnic Azeris and Armenians were slaughtering each other in the streets of Baku. 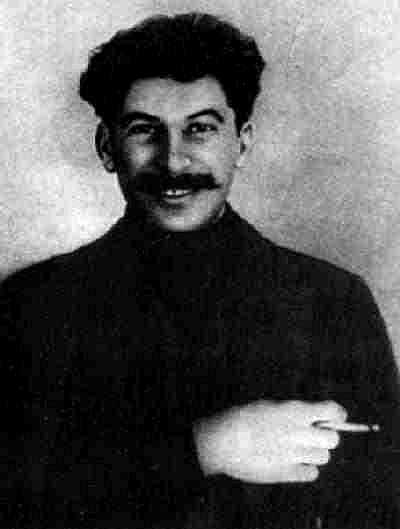 Commanding a squad of armed Bolsheviks, Stalin ran protection rackets to raise party funds and stole printing equipment. Afterward, he headed west, where he continued to campaign against the Mensheviks, who enjoyed overwhelming support in Georgia. In the mining town of Chiatura, both Stalin and the Mensheviks competed for the support of the miners; they chose Jughashvili, preferring his plain and concise manner of speaking to the flamboyant oratory of the Menshevik speaker. From Chiatura, Stalin organized and armed Bolshevik militias across Georgia. With them, he ran protection rackets among the wealthy and waged guerrilla warfare on Cossacks, policemen and the Okhranka. Later that year, in the townhouse in which he had moved in Tiflis, he met Ekaterina Svanidze, who would become his first wife. Ekaterina "Kato" Svanidze, (April 2, 1885 – December 5, 1907) was the Georgian first wife of Joseph Stalin. They were married in 1906. She had two sisters, Alexandra (nicknamed "Sashiko") and Maria ("Mariko"). She had at least one brother, but some sources claim she had more than one. Because her only known brother Alexander Svanidze spoke German and French and studied in Germany, it is unlikely that her family was poor. Alexander Svanidze was married to Maria Korona, a singer at the Tiflis Opera. Kato Svanidze married Joseph Stalin in St. David's church at Tiflis in 1906. They had a son, Yakov Dzhugashvili. She died of typhus in 1907. Much of her family (including her sister Mariko and brother Alexander) would later be executed during her husband's 'Great Terror'. It is stated that Ekaterina died of tuberculosis in Stalin's arms. Stalin would later state that, other than his mother, she may have been the only person he truly loved. At her funeral, he said "This creature softened my heart of stone. She died and with her died my last warm feelings for humanity." In December 1905, Stalin and two other activists were elected to represent the Caucasus at the next Bolshevik conference, which took place in Tampere, Finland. There, on 7 January 1906, Stalin met Lenin in person for the first time. Although Stalin was impressed by Lenin's personality and intellect, he was not afraid to contradict him. He objected to Lenin's proposal that they take part in elections to the recently formed Russian parliament, the Duma. At the conference he also met Yemelyan Yaroslavsky, his future propaganda chief, and Solomon Lozovsky, his future Deputy Foreign Commissar. After the conference, Stalin returned to Georgia, where Cossack troops were brutally trying to reconquer the rebellious region for the Tsar. In Tiflis, Stalin and the Mensheviks plotted the assassination of Major General Fyodor Gryaznov, which was carried out at the end of January 1906. Stalin continued to raise money for the Bolsheviks through extortion, bank robberies and hold-ups. In April 1906, Stalin attended the 'Fourth Congress of the Russian Social Democratic Labour Party'. At the conference, he met Kliment Voroshilov, his future Defence Commissar and First Marshal; Felix Dzerzhinsky, future founder of the Cheka; and Grigory Zinoviev, with whom he would share power after Lenin's death. The Congress, in which the Bolsheviks were outnumbered, voted to ban bank robberies. This upset Lenin, who needed the bank robberies to raise money. Stalin married Ekaterina Svanidze on 28 July 1906. On 31 March 1907, she gave birth to Stalin's first child, Yakov. Stalin and Lenin both attended the Fifth Congress of the Russian Social Democratic Labour Party in London in 1907. This Congress consolidated the supremacy of Lenin's Bolshevik faction, and debated strategy for communist revolution in Russia. Here, Stalin first met Leon Trotsky in person; Stalin immediately came to hate him, calling him "pretty but useless". After the conference, Stalin would begin to switch his focus away from Georgia, which was rife with feuding and dominated by the Mensheviks, to Russia, and he began writing in Russian. 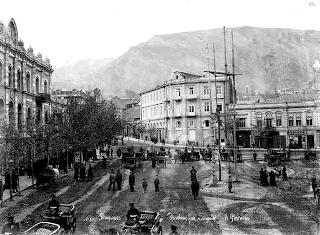 The 1907 Tiflis bank robbery, also known as the Yerevan Square expropriation, was an armed robbery on 26 June 1907 in the Georgian city of Tiflis (now Georgia's capital, Tbilisi). A bank cash shipment was stolen by Bolsheviks to fund their revolutionary activities. The robbers attacked a bank stagecoach and surrounding police and military using bombs and guns while the stagecoach was transporting money through Yerevan Square (now Freedom Square) between the post office and the Tiflis branch of the State Bank of the Russian Empire. The attack killed forty people and injured fifty others, according to official archive documents. The robbers escaped with 341,000 rubles (equivalent to around US $3.4 million in 2008). The robbery was organized by a number of top-level Bolsheviks, including Vladimir Lenin, Joseph Stalin, Maxim Litvinov, Leonid Krasin, and Alexander Bogdanov, and executed by a gang of Georgian revolutionaries led by Stalin's early associate Kamo. Because such activities were explicitly prohibited by the 5th Congress of the Russian Social Democratic Labour Party (RSDLP), the robbery and the killings caused outrage within the party against the Bolsheviks (a faction within the RSDLP). As a result, Lenin and Stalin tried to distance themselves from the robbery. The events surrounding the incident and similar robberies split the Bolshevik leadership, with Lenin against Bogdanov and Krasin. Despite the success of the robbery and the large sum involved, the Bolsheviks could not use most of the large bank notes obtained from the robbery because their serial numbers were known to the police. Lenin conceived of a plan to have various individuals cash the large bank notes at once at various locations throughout Europe in January 1908, but this strategy failed, resulting in a number of arrests, worldwide publicity, and negative reaction from European social democrats. Kamo was caught in Germany shortly after the robbery but successfully avoided a criminal trial by feigning insanity for more than three years. He managed to escape from his psychiatric ward but was captured two years later while planning another robbery. Kamo was then sentenced to death for his crimes including the 1907 robbery, but his sentence was commuted to life imprisonment; he was released after the 1917 Revolution. None of the other major participants or organizers of the robbery were ever brought to trial. After his death, a grave and monument to Kamo was erected near Yerevan Square in Pushkin Gardens. This monument was later removed, and Kamo's remains moved elsewhere. From 1903 onwards, the RSDLP were divided between two major groups: the Bolsheviks and the Mensheviks. After the suppression of the 1905 Revolution by the Russian Empire, the RSDLP held its 5th Congress in May–June 1907 in London with the hopes of resolving differences between the Bolsheviks and the Mensheviks. One issue that still separated the two groups was the divergence of their views on militant activities, and in particular, "expropriations".The most militant Bolsheviks, led at the 5th Congress by Vladimir Lenin, supported continuation of the use of robberies, while Mensheviks advocated a more peaceful and gradual approach to revolution, and opposed militant operations. At the 5th Congress, a resolution was passed condemning participation in or assistance to all militant activity, including "expropriations" as "disorganizing and demoralizing", and called for all party militias to be disbanded. This resolution passed with 65 per cent supporting and 6 per cent opposing (others abstained or did not vote) with all Mensheviks and even some Bolsheviks supporting the resolution. Despite the unified party's prohibition on separate committees, during the 5th Congress the Bolsheviks elected their own governing body, called the Bolshevik Centre, and kept it secret from the rest of the RSDLP. The Bolshevik Centre was headed by a "Finance Group" consisting of Lenin, Leonid Krasin and Alexander Bogdanov. Among other party activities, the Bolshevik leadership had already planned a number of "expropriations" in different parts of Russia by the time of the 5th Congress and was awaiting a major robbery in Tiflis, which occurred only weeks after the 5th Congress ended. Before the 5th Congress met, high-ranking Bolsheviks held a meeting in Berlin in April 1907 to discuss staging a robbery to obtain funds to purchase arms. Attendees included Lenin, Krasin, Bogdanov, Joseph Stalin, and Maxim Litvinov. The group decided that Stalin, then known by his earlier nom de guerre Koba,[b] and the Armenian Simon Ter-Petrossian, known as Kamo, should organize a bank robbery in the city of Tiflis. The 29-year-old Stalin was living in Tiflis with his wife Ekaterina and newborn son Yakov. Stalin was experienced at organizing robberies, and these exploits had helped him gain a reputation as the Centre's principal financier. Kamo, four years younger than Stalin, had a reputation for ruthlessness; later in his life he cut a man's heart from his chest. At the time of the conspiracy, Kamo ran a criminal organization called "the Outfit". Stalin said that Kamo was "a master of disguise", and Lenin called Kamo his "Caucasian bandit". Stalin and Kamo had grown up together, and Stalin had converted Kamo to Marxism. After the April meeting, Stalin and Litvinov travelled to Tiflis to inform Kamo of the plans and to organize the raid. According to Roman Brackman's 'The Secret File of Joseph Stalin: A Hidden Life', while Stalin was working with the Bolsheviks to organize criminal activities, he was also acting as an informant for the Okhrana, the Russian secret police. Brackman alleges that once the group returned to Tiflis, Stalin informed his Okhrana contact, Officer Mukhtarov, about the bank robbery plans and promised to provide the Okhrana with more information at a later time. In Tiflis, Stalin began planning for the robbery. He established contact with two individuals with inside information about the State Bank's operations: a bank clerk named Gigo Kasradze and an old school friend of Stalin's named Voznesensky who worked at the Tiflis banking mail office. Voznesensky later stated that he had helped out in the theft out of admiration for Stalin's romantic poetry. Voznesensky worked in the Tiflis banking mail office, giving him access to a secret schedule that showed the times that cash would be transferred by stagecoach to the Tiflis branch of the State Bank. 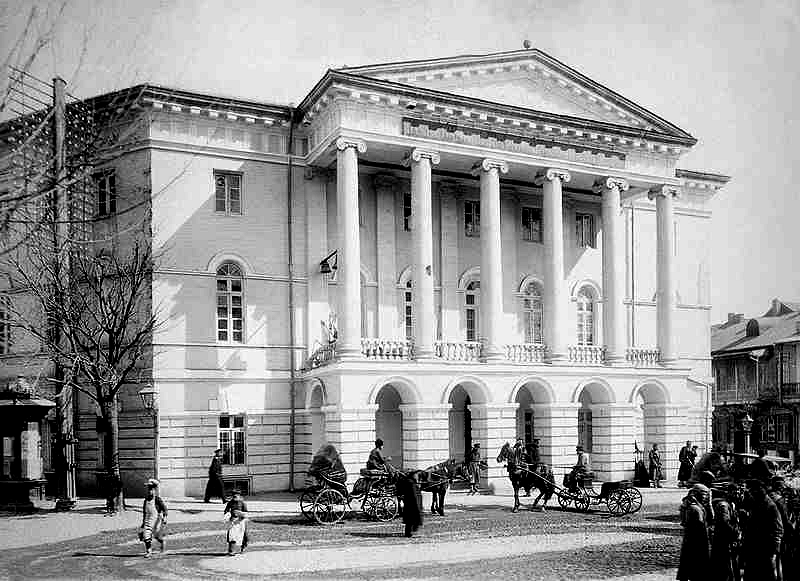 Voznesensky notified Stalin that the bank would be receiving a large shipment of money by horse-drawn carriage on 26 June 1907. Krasin helped manufacture bombs to use in the attack on the stagecoach. Kamo's gang smuggled bombs into Tiflis by hiding them inside a sofa. Only weeks before the robbery, Kamo accidentally detonated one of Krasin's bombs while trying to set the fuse. The blast severely injured him in the eye, leaving a permanent scar. Kamo was confined to his bed for a month owing to intense pain, and had not fully recovered by the time of the robbery. On the day of the robbery, 26 June 1907, the 20 organizers, including Stalin, met near Yerevan Square (just 2 minutes from the seminary, bank and viceroy's palace) to finalize their plans, and after the meeting, they went to their designated places in preparation for the attack. The Russian authorities had become aware that some large action was being planned by revolutionaries in Tiflis, and had increased the security presence in the main square; just prior to the robbery, they had been tipped off and were guarding every street corner in Yerevan Square. To deal with the increased security, gang members spotted each security officer prior to the robbery and lookouts were posted looking down on the square from above. The gang members mostly dressed themselves as peasants and waited on street corners with revolvers and grenades. In contrast to the others, Kamo was disguised as a cavalry captain and came to the square in a horse-drawn phaeton, a type of open carriage. The conspirators took over the Tilipuchuri tavern facing the square in preparation for the robbery. A witness, David Sagirashvili, later stated that he had been walking in Yerevan Square when a friend named Bachua Kupriashvili, who later turned out to be one of the robbers, invited him into a tavern and asked him to stay. 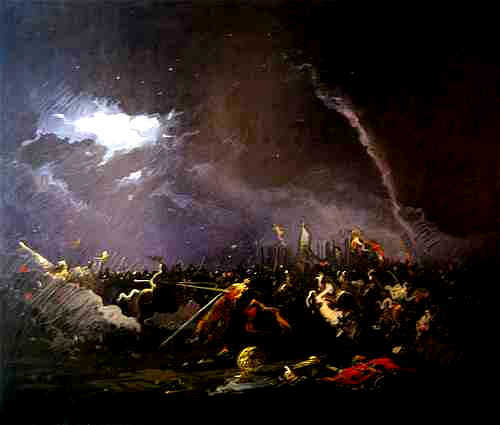 Once inside the tavern, Sagirashvili realized that armed men were stopping people from leaving. When they received a signal that the bank stagecoach was nearing the square, the armed men quickly left the building with pistols drawn. The Tiflis branch of the State Bank of the Russian Empire had arranged to transport funds between the post office and the State Bank by horse-drawn stagecoach. Inside the stagecoach was the money, two guards with rifles, a bank cashier, and a bank accountant. A phaeton filled with guards rode behind the stagecoach, and horse-mounted guards rode in front, next to, and behind the carriages. The stagecoach made its way through the crowded square at about 10:30 am. Kupriashvili gave the signal, and the robbers hit the carriage with grenades, killing many of the horses and guards, and began shooting security men guarding the stagecoach and the square. Bombs were thrown from all directions. The Georgian newspaper Isari reported: "No one could tell if the terrible shooting was the boom of cannons or explosion of bombs ... The sound caused panic everywhere ... almost across the whole city, people started running. Carriages and carts were galloping away". The blasts were so strong that they knocked over nearby chimneys and broke every pane of glass for a mile around. 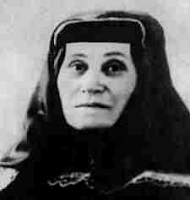 Ekaterina Svanidze, Stalin's wife, was standing on a balcony at their home near the square with her family and young child. When they heard the explosions, they rushed back into the house terrified. One of the injured horses harnessed to the bank stagecoach bolted, pulling the stagecoach with it, chased by Kupriashvili, Kamo, and another robber, Datiko Chibriashvili. Kupriashvili threw a grenade that blew off the horse's legs, but Kupriashvili was caught in the explosion, landing stunned on the ground. He regained consciousness and sneaked out of the square before police and military reinforcements arrived. Chibriashvili snatched the sacks of money from the stagecoach while Kamo rode up firing his pistol, and they and another robber threw the money into Kamo's phaeton. Pressed for time, they inadvertently left twenty thousand rubles behind, some of which was pocketed by one of the stagecoach drivers who was later arrested for the theft. After securing the money, Kamo quickly rode out of the square; encountering a police carriage, he pretended to be a captain of the cavalry, shouting, "The money's safe. Run to the square." The deputy in the carriage obeyed, realizing only later that he had been fooled by an escaping robber. Kamo then rode to the gang's headquarters where he changed out of his uniform. All of the robbers quickly scattered, and none were caught. One of the robbers, Eliso Lominadze, stole a teacher's uniform to disguise himself and came back to the square, gazing at the carnage. Fifty casualties lay wounded in the square along with the dead people and horses. The authorities stated that only three people had died, but documents in the Okhrana archives reveal that the true number was around forty. The State Bank was not sure how much it actually lost from the robbery, but the best estimates were around 341,000 rubles, worth around 3.4 million US dollars as of 2008. About 91,000 rubles were in small untraceable bills, with the rest in large 500-ruble notes that were difficult to exchange because their serial numbers were known to the police. Stalin's exact actions on the day of the robbery are unknown and disputed. One source, P. A. Pavlenko, claimed that Stalin attacked the carriage itself and had been wounded by a bomb fragment. Kamo later stated that Stalin took no active part in the robbery and had watched it from a distance. Another source stated in a police report that Stalin "observed the ruthless bloodshed, smoking a cigarette, from the courtyard of a mansion." Another source claims that Stalin was actually at the railway station during the robbery and not at the square. Stalin's sister-in-law stated that Stalin came home the night of the robbery and told his family about its success. Stalin's role was later questioned by fellow revolutionaries Boris Nicolaevsky and Leon Trotsky. The latter, Stalin's rival, was later assassinated on orders from Stalin. In his book 'Stalin – An Appraisal of the Man and his Influence', Trotsky analyzed many publications describing the Tiflis expropriation and other Bolshevik militant activities of that time, and concluded, "Others did the fighting; Stalin supervised them from afar". In general, according to Nicolaevsky, "The role played by Stalin in the activities of the Kamo group was subsequently exaggerated". Kun later discovered official archive documents however clearly showing that "from late 1904 or early 1905 Stalin took part in drawing up plans for expropriations", adding, "It is now certain that [Stalin] controlled from the wings the initial plans of the group" that carried out the Tiflis robbery. The robbery featured in headlines worldwide: "Rain of Bombs: Revolutionaries Hurl Destruction among Large Crowds of People" in the London Daily Mirror, "Tiflis Bomb Outrage" in The Times of London, "Catastrophe!" in Le Temps in Paris, and "Bomb Kills Many; $170,000 Captured" in The New York Times. Authorities mobilized the army, closed roads, and surrounded the square hoping to secure the money and capture the criminals. A special detective unit was brought in to lead the police investigation. Unfortunately for the investigators, witness testimony was confusing and conflicting, and the authorities did not know which group was responsible for the robbery. Polish socialists, Armenians, anarchists, Socialist-Revolutionaries, and even the Russian State itself were blamed. According to Brackman, several days after the robbery the Okhrana agent Mukhtarov questioned Stalin in a secret apartment. The agents had heard rumors that Stalin had been seen watching passively during the robbery. 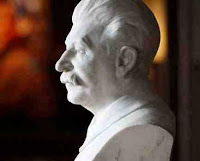 Mukhtarov asked Stalin why he had not informed them about it, and Stalin stated that he had provided adequate information to the authorities to prevent the theft. The questioning escalated into a heated argument; Mukhtarov hit Stalin in the face and had to be restrained by other Okhrana officers. After this incident, Muktarov was suspended from the Okhrana, and Stalin was ordered to leave Tiflis and go to Baku to await a decision in the case. Stalin left Baku with 20,000 rubles in stolen money in July 1907. While Brackman claims to have found evidence of this incident, whether Stalin cooperated with the Okhrana during his early life has been a subject of debate among historians for many decades and has yet to be resolved. The funds from the robbery were originally kept at the house of Stalin's friends in Tiflis, Mikha and Maro Bochoridze. The money was sewn into a mattress so that it could be moved and stored easily without arousing suspicion. The mattress was moved to another safe house, then later put on the director's couch at the Tiflis Meteorological Observatory, possibly because Stalin had worked there. Some sources claim that Stalin himself helped put the money in the observatory. The director stated that he never knew that the stolen money had been stored under his roof. A large portion of the stolen money was eventually moved by Kamo, who took the money to Lenin in Finland, which was then part of the Russian Empire. Kamo spent the remaining summer months staying with Lenin at his dacha. That autumn, Kamo traveled to Paris, to Belgium to buy arms and ammunition, and to Bulgaria to buy 200 detonators. He next traveled to Berlin and delivered a letter from Lenin to a prominent Bolshevik physician, Yakov Zhitomirsky, asking to treat Kamo's eye, which had not completely healed from the bomb blast. Unknown to Lenin, Zhitomirsky had been secretly working as an agent of the Russian government and quickly informed the Okhrana, who asked the Berlin police to arrest Kamo. When they did so, they found a forged Austrian passport and a suitcase with the detonators, which he was planning to use in another large bank robbery. After hearing of Kamo's arrest, Lenin feared that he too might be arrested and fled from Finland with his wife. To avoid being followed, Lenin walked three miles (4.8 km) across a frozen lake at night to catch a steamer at a nearby island. On his trek across the ice, Lenin and his two companions nearly drowned when the ice started to give way underneath them; Lenin later admitted it seemed like it would have been a "stupid way to die". Lenin and his wife escaped and headed to Switzerland. The unmarked bills from the robbery were easy to exchange, but the serial numbers of the 500-ruble notes were known to the authorities, making them impossible to exchange in Russian banks. By the end of 1907, Lenin decided to exchange the remaining 500-ruble notes abroad. Krasin had his forger try to change some of the serial numbers. Two hundred of these notes were transported abroad by Martyn Lyadov (they were sewn into his vest by the wives of Lenin and Bogdanov at Lenin's headquarters in Kuokkala). Lenin's plan was to have various individuals exchange the stolen 500-ruble notes simultaneously at a number of banks throughout Europe. Zhitomirsky heard of the plan and reported it to the Okhrana, who contacted police departments throughout Europe asking them to arrest anyone who tried to cash the notes. In January 1908, a number of individuals were arrested while attempting to exchange the notes. The New York Times reported that one woman who had tried to cash a marked 500-ruble note later tried to swallow evidence of her plans to meet her accomplices after the police were summoned, but the police stopped her from swallowing the paper by grabbing her throat, retrieved the paper, and later arrested her accomplices at the train station. Most prominent among those arrested was Maxim Litvinov, caught while boarding a train with his mistress at Paris's Gare du Nord with twelve of the 500-ruble notes he intended to cash in London. The French Minister of Justice expelled Litvinov and his mistress from French territory, outraging the Russian government, which had requested his extradition. Officially the French government stated that Russia's request for extradition had been submitted too late, but by some accounts, they denied the extradition because French socialists had applied political pressure to secure his release. The money obtained in the Tiflis raid was handed over to the Bolsheviks for revolutionary purposes. But the money could not be used. It was all in 500-ruble notes, which had to be changed. This could not be done in Russia, as the banks always had lists of the note numbers in such cases ...The money was badly needed. And so a group of comrades made an attempt to change the 500-ruble notes simultaneously in various towns abroad, just a few days after our arrival ... Zhitomirsky had warned the police about the attempt to change the ruble notes, and those involved in it were arrested. A member of the Zurich group, a Lett, was arrested in Stockholm, and Olga Ravich, a member of the Geneva group, who had recently returned from Russia, was arrested in Munich with Bogdassarian and Khojamirian. In Geneva N. A. Semashko was arrested after a postcard addressed to one of the arrested men was delivered to his house. Brackman claims that despite the arrests, Lenin continued his attempts to exchange the 500-ruble notes and did manage to trade some of them for 10,000 rubles from an unknown woman in Moscow. According to Nicolaevsky, however, Lenin abandoned attempts to exchange the notes after the arrests, but Bogdanov tried (and failed) to exchange some notes in North America, while Krasin succeeded in forging new serial numbers and managed to exchange several more notes. Soon after, Lenin's associates burned all the 500-ruble notes remaining in their possession. "Resigned to death, absolutely calm. On my grave there should already be grass growing six feet high. One can't escape death forever. One must die some day. But I will try my luck again. Try any way of escape. Perhaps we shall once more have the laugh over our enemies ... I am in irons. Do what you like. I am ready for anything." – Note from Kamo to a fellow prisoner in 1912 while awaiting the death penalty. After Kamo was arrested in Berlin and awaiting trial, he received a note from Krasin through his lawyer Oscar Kohn telling him to feign insanity so that he would be declared unfit to stand trial. To demonstrate his insanity, he refused food, tore his clothes, tore out his hair, attempted to hang himself, slashed his wrists, and ate his own excrement. To make sure that he was not faking his condition, German doctors stuck pins under his nails, struck him in the back with a long needle, and burned him with hot irons, but he did not break his act. After all of these tests, the chief doctor of the Berlin asylum wrote in June 1909 that "there is no foundation to the belief that [Kamo] is feigning insanity. He is without doubt mentally ill, is incapable of appearing before a court, or of serving sentence. It is extremely doubtful that he can completely recover." In 1909 Kamo was extradited to a Russian prison, where he continued to feign insanity. In April 1910, he was put on trial for his role in the Tiflis robbery, where he ignored the proceedings and openly fed a pet bird that he had hidden in his shirt. The trial was suspended while officials determined his sanity. The court eventually found that he had been sane when he committed the Tiflis robbery, but was presently mentally ill and should be confined until he recovered. In August 1911, after feigning insanity for more than three years, Kamo escaped from the psychiatric ward of a prison in Tiflis by sawing through his window bars and climbing down a homemade rope. After escaping, Kamo met up with Lenin in Paris, and was distressed to hear that a "rupture had occurred" between Lenin, Bogdanov, and Krasin. Kamo told Lenin about his arrest and how he had simulated insanity while in prison. After leaving Paris, Kamo eventually met up with Krasin and planned another armed robbery. Kamo was caught before the robbery took place and was put on trial in Tiflis in 1913 for his exploits including the Tiflis bank robbery. This time, Kamo did not feign insanity while imprisoned, but he did pretend that he had forgotten all that happened to him when he was previously "insane". The trial was brief and Kamo was given four death sentences. Seemingly doomed to death, Kamo then had the good luck along with other prisoners to have his sentence commuted to a long prison term as part of the celebrations of the Romanov dynasty tricentennial in 1913. Kamo was released from prison after the February Revolution in 1917. Apart from Kamo, none of the organizers of the robbery were ever brought to trial, and initially it was not clear who was behind the raid, but after the arrest of Kamo, Litvinov and others, the Bolshevik involvement became obvious. The Mensheviks felt betrayed and angry; the robbery proved that the Bolshevik Centre operated independently from the unified Central Committee and was taking actions explicitly prohibited by the party congress. The leader of the Mensheviks, Georgi Plekhanov, called for separation from the Bolsheviks. Plekhanov's colleague, Julius Martov, said the Bolshevik Centre was something between a secret factional central committee and a criminal gang. 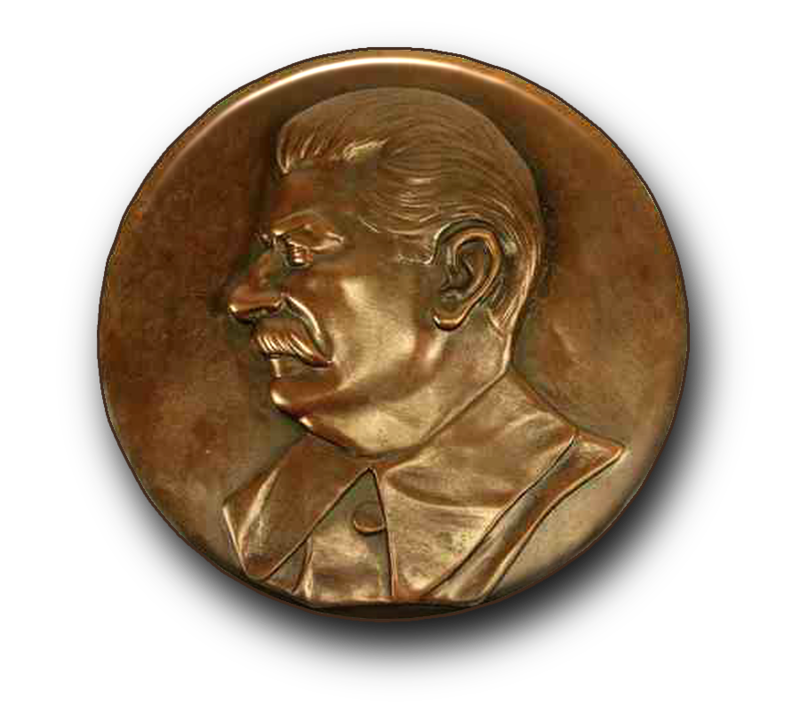 The Tiflis Committee of the party expelled Stalin and several members for the robbery. The party's investigations into Lenin's conduct were thwarted by the Bolsheviks. The robbery made the Bolsheviks even less popular in Georgia and left the Bolsheviks in Tiflis without effective leadership. After the death by natural causes of his wife Ekaterina Svanidze in November 1907, Stalin rarely returned to Tiflis. Other leading Bolsheviks in Georgia, such as Mikhail Tskhakaya and Filipp Makharadze, were largely absent from Georgia after 1907. 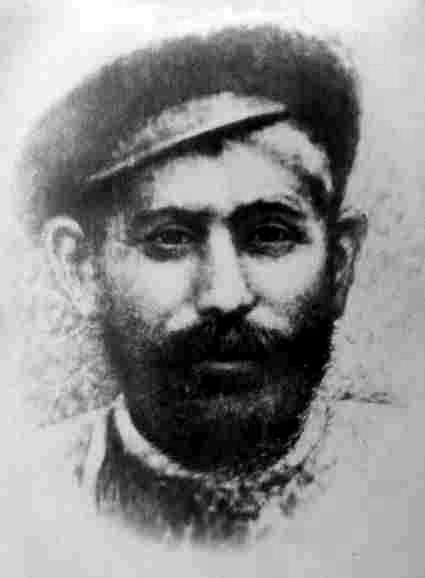 Another prominent Tiflis Bolshevik, Stepan Shahumyan, moved to Baku. The Bolsheviks' popularity in Tiflis continued to fall, and by 1911, there were only about 100 Bolsheviks left in the city. The robbery also made the Bolshevik Centre unpopular more widely among European social democrat groups. Lenin's desire to distance himself from the legacy of the robbery may have been one of the sources of the rift between him and Bogdanov and Krasin. Stalin distanced himself from Kamo's gang and never publicized his role in the robbery. After the Russian Revolution of 1917, many of the Bolsheviks who had been involved in the robbery gained political power in the new Soviet Union. Lenin went on to become its first premier until his death in 1924, followed by Stalin until his death in 1953. Maxim Litvinov became a Soviet diplomat, serving as People's Commissar for Foreign Affairs (1930–1939). Leonid Krasin initially quit politics after the split from Lenin in 1909, but rejoined the Bolsheviks after the 1917 Revolution and served as the Soviet trade representative in London and as People's Commissar for Foreign Trade until his death in 1926. After Kamo's release from prison, he worked in the Soviet customs office, by some accounts because he was too unstable to work for the secret police. He died in 1922 when a truck hit him while he was cycling. Although there is no proof of foul play, some have theorized that Stalin ordered his death to keep him quiet. Bogdanov was expelled from the party in 1909, ostensibly over philosophical differences. After the Bolshevik Revolution, he became the leading ideologist of Proletkult, an organization designed to foster a new proletarian culture. Stalin's family moved to Baku. Whilst Stalin continued his revolutionary activities, his wife fell ill from Baku's pollution, heat, stress and malnutrition. She contracted typhus and died on 5 December 1907. Stalin was overcome with grief and retreated into mourning for several months. The loss also hardened him; he told a friend: "with her died my last warm feelings for humanity". He abandoned his son, Yakov, who was raised by his deceased wife's family. When Stalin resumed his activities, he organized more strikes and agitation, this time focusing on the Muslim Azeri and Persian workers in Baku. He helped found a Muslim Bolshevik group called Hummet, and also supported the Persian Constitutional Revolution with manpower and weapons, and even visited Persia to organize partisans. Stalin ordered the murders of many Black Hundreds (radical supporters of the Tsar) and conducted protection rackets and ransom kidnappings against the oil tycoons of Baku. He also conducted counterfeiting operations and robberies. He befriended criminal gangs, and used them to obstruct the Mensheviks. Stalin's gangsterism upset the Bolshevik intelligentsia, but he was too influential and indispensable to oppose. The Okhranka tracked down and arrested Stalin on 7 April 1908. After seven months in prison, he was sentenced to two years' exile. He arrived in the village of Solvychegodsk in early March 1909. After seven months in exile, he disguised himself as a woman and escaped on a train to St Petersburg. He returned to Baku in late July. The Bolsheviks were on the verge of collapse due to Okhranka activity within the Empire and infighting among the intelligentsia abroad. In desperation, he advocated a reconciliation with the Mensheviks (which Lenin opposed). Stalin demanded the creation of a 'Russian Bureau' to run the Social-Democratic Party from within the Empire, to which he was appointed. Stalin soon realized the Bolsheviks had been heavily infiltrated by Tsarist spies. He initiated a hunt for the traitors, but failed to root out any real spies - as revealed by Okhranka records - and caused much disarray in the Party. On 5 April 1910 Stalin was yet again arrested by the Okhranka. He was banned from the Caucasus for five years and sentenced to complete his previous exile in Solvychegodsk. He was deported back there in September. In early 1911, Stalin's friends tried to sneak him some money to help his escape, but the fellow exile who was supposed to deliver the money instead kept it for himself (Stalin had the man shot in 1937), and he was forced to return to Solvychegodsk. During his exile, he had an affair with his landlady, Maria Kuzakova, with whom he fathered a son, Constantine. Stalin was released on 1 July 1911, while Maria was still pregnant. Stalin moved to Vologda in late July, where he had been ordered to reside for two months. In January 1912, at the Prague Party Conference, Lenin led his Bolshevik faction out of the Russian Social Democratic Labour Party, founding the separate 'Bolshevik Party'. A Central Committee was elected, but when some of its members returned to Russia, they were arrested by the Okhranka, having been secretly betrayed by fellow CC member Roman Malinovsky, an Okhranka spy. To fill the void, Lenin and Grigory Zinoviev coopted Stalin as a member of the Central Committee. When Stalin was informed of this, he left Vologda in late February. Stalin moved to Saint Petersburg in March 1912, lodging with Kavtaradze, maths tutor to the Alliluyev sisters. He took control of the Bolshevik weekly newspaper 'Zvezda'. Stalin had been assigned to convert Zvezda into a daily and rename it 'Pravda'. Initially, Stalin ran 'Zvezda' from the home of Bolshevik Duma deputy Poletaev, who was also a poet and was immune from arrest. The first issue of 'Pravda' was published in 3 rooms on 5 May. It was legal at first even though its editor-in-chief, Stalin, was not. Another founder Vyacheslav Molotov whose old friend, Victor Tikhomirnov, was the son of a Kazan capitalist and funded 'Pravda' with his inheritance. Shortly afterwards, the Okhranka caught up with him again. On July 2, 1912 he was again exiled to Siberia for three years, this time to the small village of Narym. He escaped just thirty-eight days after arriving; this was his shortest exile. He returned to Saint Petersburg in September. Stalin renewed his efforts to reconcile the Bolsheviks with the Mensheviks in the hope of salvaging the then struggling Marxist movement. He published editorials in 'Pravda' advocating reconciliation, and secretly met with Menshevik leaders Jordania and Jibladze on several occasions. He turned down 47 of Lenin's articles, reaffirming his willingness to disagree with Lenin. This angered Lenin, who twice summoned Stalin to Kraków to argue policy. On the second visit at the end of 1912, Stalin was replaced by Sverdlov as editor-in-chief of 'Pravda', but was made senior leader of the 'Russian Bureau of the Bolshevik Party', and paid 2 roubles a day. Lenin also asked Stalin to write an essay laying out the Bolshevik position on national minorities. After Kraków, Stalin spent several weeks in Vienna with a wealthy Bolshevik couple he met with Lenin in Kraków. While there he met for the first time Nikolai Bukharin, who would become a leading politician in the future Soviet government. They continued to discuss the issue of nationalities. Stalin completed his essay on the topic, entitled "Marxism and the National Question", which was published in March 1913. Stalin returned to Saint Petersburg in February 1913. During this time, many Bolsheviks, including almost the entire Central Committee, had been arrested by the Okhranka, having been betrayed by Roman Malinovsky, a high-ranking Bolshevik who for years had been an Okhranka spy and agent provocateur. 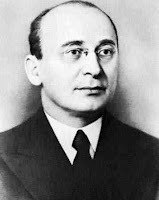 That month, an article had been published that outed Malinovsky as a spy, but the Bolsheviks dismissed it as Menshevik libel (ironically, Lenin and Stalin were his strongest defenders). 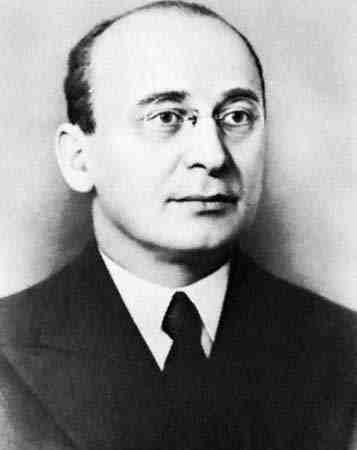 On 8 March Malinovsky persuaded Stalin to attend a Bolshevik fundraising ball, which was raided by the Okhranka. Stalin was condemned to four years in the remote Siberian province of Turukhansk. He was eventually joined by Kamenev and several other Bolshevik exiles. He spent six months in the small hamlet of Kostino on the Yenisei River. After learning that Stalin was planning an escape (he had received money and supplies from his comrades), the authorities moved him north to Kureika, a hamlet on the edge of the Arctic Circle. There, he lived the life of a hunter-gatherer, having learned fishing and hunting from local Siberian tribesmen. While there he began a 2-year affair with Lidia Pereprygina, then aged 13, with whom he fathered two children. The first died in infancy; the second, named Alexander, was born in April 1917. In late 1916, Stalin was conscripted into the army. He was taken to Krasnoyarsk in February 1917, but the medical examiner there found him unfit for service due to his damaged left arm (a childhood injury). He spent his last four months of exile in the village of Achinsk. Stalin's first name is also transliterated as "Iosif". His original surname, ჯუღაშვილი, is transliterated as "Jughashvili" or J̌uḡašvili. The Russian transliteration is "Джугашвили", which is in turn transliterated into English as "Dzhugashvili" and "Djugashvili"; -შვილი ("-shvili") is a Georgian suffix meaning "child" or "son". There are several etymologies of the jugha (ჯუღა) root. In one version, the name derives from the village of Jugaani in Kakhetia, eastern Georgia. Neo-Nazi and other anti-Semitic sources have claimed that "Dzhuga" or "Jugha" means "Jew" in Georgian and hence "Dzhugashvili" literally means "Jew-son" or son of a Jew. This, however, is incorrect as the word for "Jew" in Georgian is "ebraeli" (ებრაელი). An article in the newspaper Pravda in 1988 claimed the word derives from the Old Georgian for "steel" which might be the reason for his adoption of the name Stalin. Сталин ("Stalin") is derived from combining the Russian сталь ("stal"), "steel", with the possessive suffix -ин ("-in"), a formula used by many other Bolsheviks, including Lenin. ..And the Ossetian chest swells' (Translation by A. S. Kline). Like other Bolsheviks, he became commonly known by one of his revolutionary noms de guerre, of which "Stalin" was only the last. During his education in Tiflis, he picked up the nickname "Koba", the Robin Hood-like protagonist from the 1883 novel 'The Patricide' by Alexander Kazbegi. This became his favorite nickname throughout his revolutionary life. Stalin continued to use Koba as his Party name in the underground world of the RSDLP. During conversations, Vladimir Lenin called Stalin "Koba". Among his friends he was sometimes known by his childhood nickname "Soso" – a Georgian diminutive form of the name Iosif (Ioseb). Stalin is also reported to have used at least a dozen other nicknames, pseudonyms and aliases such as "Josef Besoshvili"; "Ivanov"; "A. Ivanovich"; "Soselo" (a youthful nickname), "K. Kato"; "G. Nizheradze"; "Chizhikov" or "Chizhnikov"; "Petrov"; "Vissarionovich"; "Vassilyi". Directly following World War II, as the Soviets were negotiating with the Allies, Stalin often sent directions to Molotov as "Druzhkov". For a long time, the date of birth of Stalin was falsified. Although there is an inconsistency among published sources about Stalin's year and date of birth, Iosif Dzhugashvili is found in the records of the Uspensky Church in Gori, Georgia as born on 18 December (Old Style: 6 December) 1878. This birth date is maintained in his School Leaving Certificate, his extensive Tsarist Russia police file, a police arrest record from 18 April 1902 which gave his age as 23 years, and all other surviving pre-Revolution documents. As late as 1921, Stalin himself listed his birthday as 18 December 1878 in a curriculum vitae in his own handwriting. However, after his coming to power in 1922, Stalin changed the date to 21 December [O.S. 9 December] 1879. That became the day his birthday was celebrated in the Soviet Union. Stalin's apparent ease in escaping from Tsarist persecution, and very light sentences contributed to rumours of him being an Okhrana agent. His efforts in 1909 to root out traitors caused much strife within the party; some accused him of doing this deliberately on the orders of the Okhrana. The Menshevik Razhden Arsenidze accused Stalin of betraying comrades he didn't like to the Okhrana. The prominent Bolshevik Stepan Shahumyan directly accused Stalin of being an Okhrana agent in 1916. According to his personal secretary Olga Shatunovskaya, these opinions were shared by Stanislav Kosior, Iona Yakir and other prominent Bolsheviks. 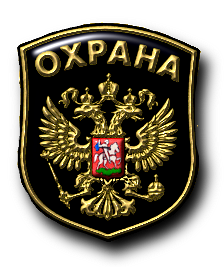 The rumours were reinforced by being published in the Soviet Union memoirs of Domenty Vadachkory, who wrote that Stalin used an Okhrana badge (supposedly stolen) to help him escape exile. It also appears suspicious that Stalin played down the number of his escapes from prisons and exiles. A speculation exists, that some Bolshevisks were in fact double agents. Since there was no practical way for the revolutionaries to avoid eventual infiltration of their ranks by the Okhrana provocateurs, the leaders secretly allowed some to become agents in order to gain more benefits for their cause than they had to trade in.